Rear view of this sprawling estate is ideal for outdoor entertainment - featuring an outdoor kitchen and large stone fireplace. 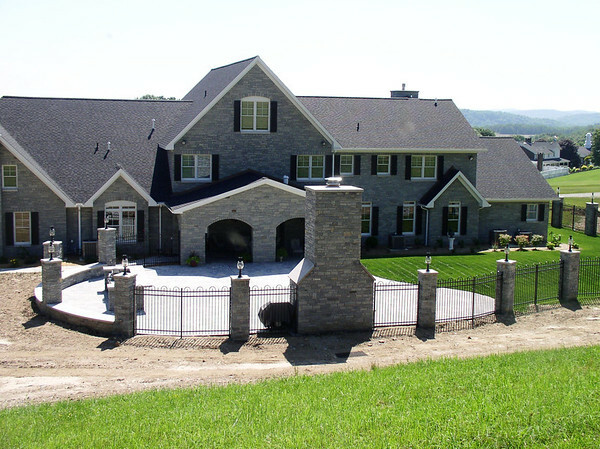 Inselmini Construction Company is your builder of distinction in southwestern Pennsylvania and the Laurel Highlands, including Westmoreland County and the communities of Greensburg, Latrobe, Ligonier, Delmont, Derry, Hempfield Township, and Mt. Pleasant.